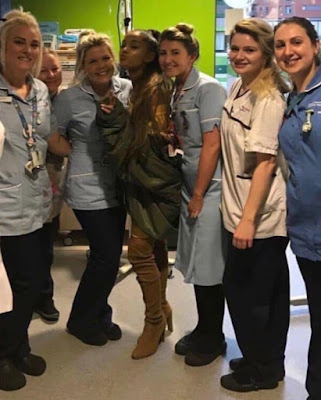 Ariana Grande has paid a surprise hospital visit to some of the young girls seriously injured in last week's Manchester terror attack. 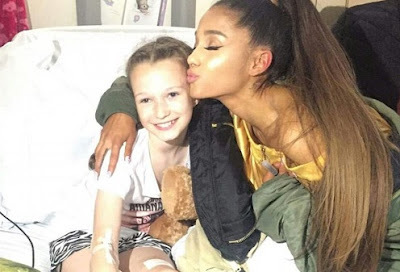 Jaden Farrell-Mann, from Denton, suffered fractures to both of her legs and shrapnel wounds during the explosion that killed 22 people in Manchester Arena on May 22. 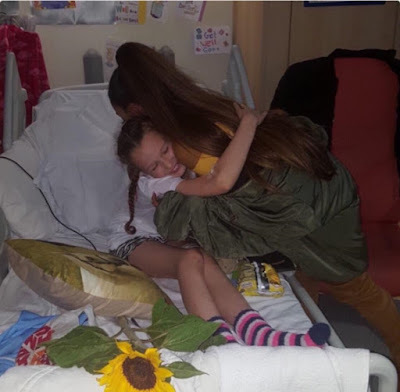 Last night the American popstar surprised Jaden, Evie Mills, 14, who suffered damage to her legs and chest in the attack, and eight-year-old victim Lily Harrison at the Royal Manchester Children's Hospital. 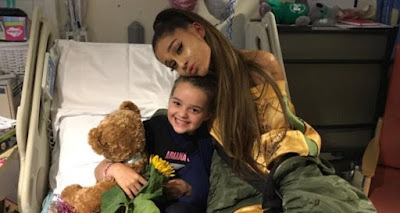 She brought the children presents and signed autographs during her ward visit. 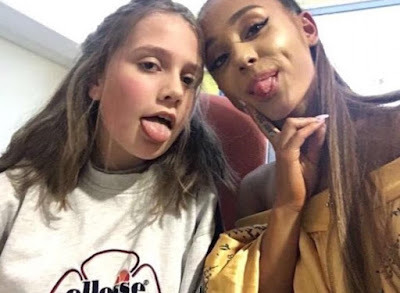 Jaden was one of at least 119 people injured when suicide attacker Salman Abedi detonated a device packed with shrapnel in the Manchester Arena foyer as people were leaving Miss Grande's gig.